The video below is of a mousetrap that humanely catches mice. But what if you could build a larger scale version that catches raccoons? 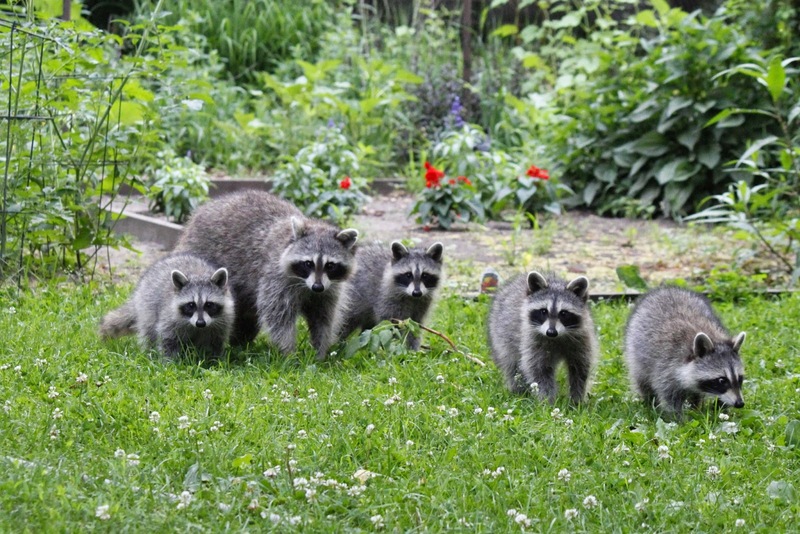 Raccoons are a serious problem in many parts of Toronto, often due to a lack of natural predators that eat raccoons. 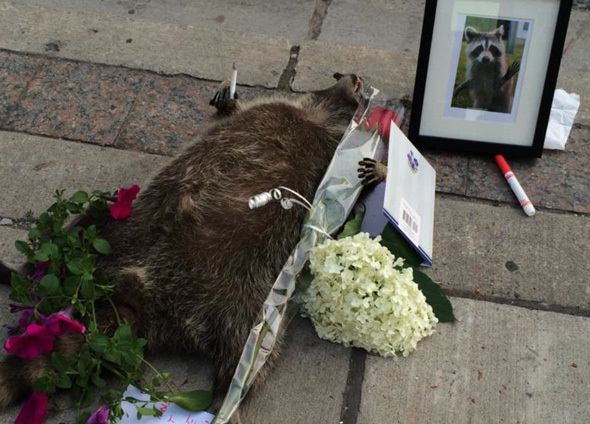 The closest thing to predators in Toronto is traffic, as testified by the sheer number of raccoons that get hit and killed on Toronto streets every year. 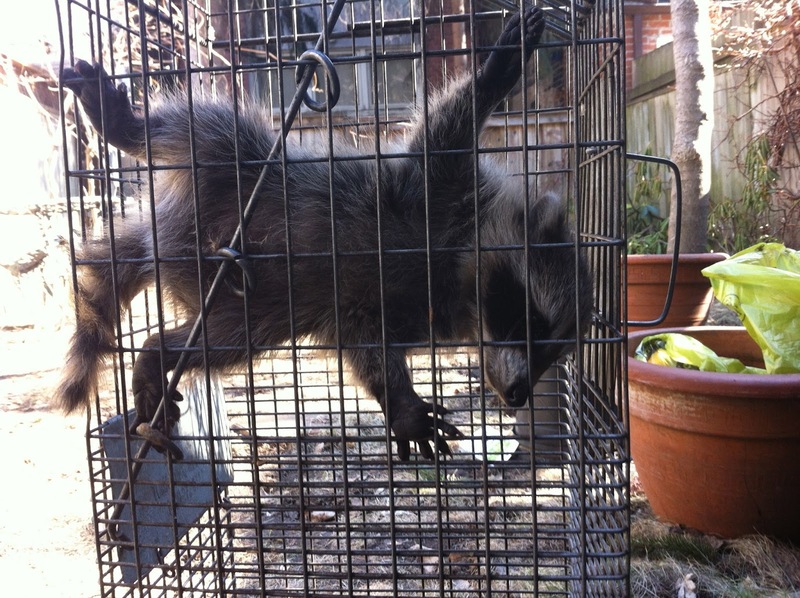 A friend of mine who lives near York University even feeds her raccoons. She lives near a ravine so she has tonnes of raccoons in the neighbourhood. Even within her home she is a bit of an animal fanatic, having a rabbit, cats, mice, and pet spiders. The raccoons to her are just one more thing worth feeding. I should note however that feeding wild animals can be dangerous. If they lose their sense of fear of humans, they are no longer afraid of humans and can become either dangerous or a nuisance. 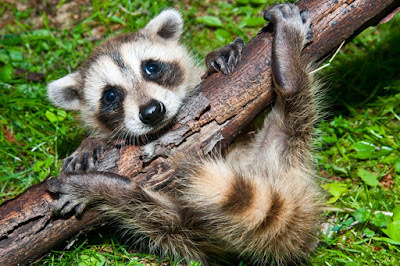 Toronto's raccoons for example have, for the most part retained some of their fear of humans, but others are quite brazen and friendly - but friendly doesn't mean they are not dangerous if provoked. 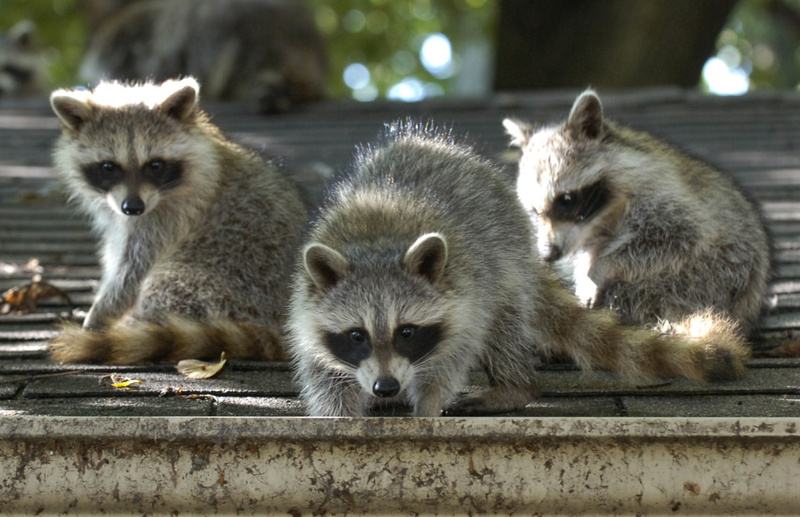 If you own a home and you are having a problem with raccoons being a nuisance (and possibly even attacking your dog or cat or children) then you need to have those animals removed. 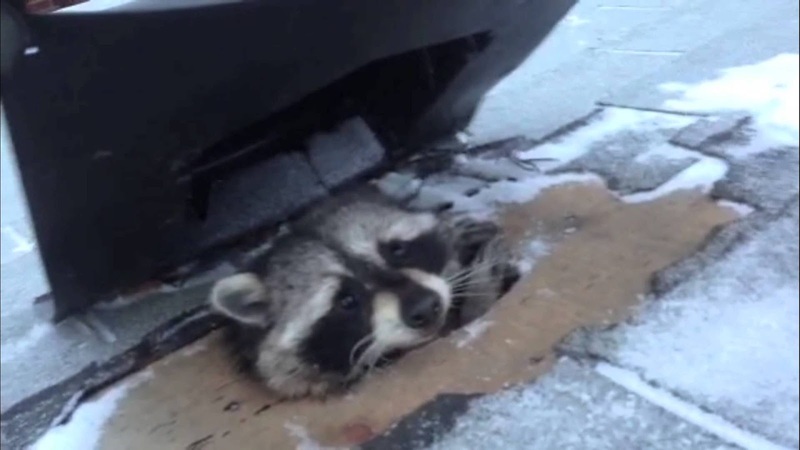 Many people in Toronto believe that raccoons should be simply be killed, that this is the simplest / quickest / most permanent solution to the raccoon problem in Toronto. Some people attempt to do this by leaving rat poison, anti-freeze or dishwasher detergent in places where the raccoons frequent and the raccoons eat/drink the poisonous materials and later die. However deadly traps and poisons are banned in Toronto. As is shooting them with firearms. The firing of guns in Toronto is illegal. Placing poison out to kill animals could result in criminal charges." It is important to note that raccoons are wildlife, and as such are protected. They can only be trapped humanely and then transported (preferably outside of the city). Vermin on the other hand (mice, rats, cockroaches, wasps, insects, etc) can be killed outright. So over the past few decades there has evolved a special ambassador to animals; the modern wildlife removal technician is a licensed wild animal whisperer who safeguards these creatures' lives and the lives of their young families with every house call. He or she protects the animal's rights just as much as he works to seal the house and keep the homeowner or business owner's property safe. And nobody does this job better than raccoon removal expert, Derick McChesney of SWAT Wildlife. Last month Life as a Human did a story on Derick that took the form of a very insightful and informative ride along as Derick completed three missions helping home owners and safeguarding raccoons. You can see how he found a nest of baby raccoons in a rental apartment. Raccoons often like hiding in high places. Hence the ladder. 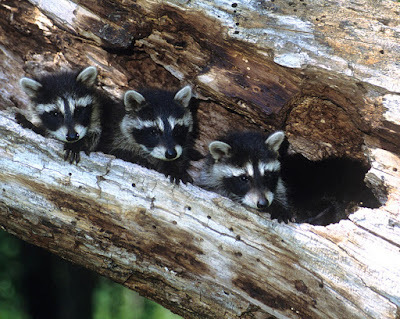 Josie Sterns Toronto real estate blog post, Are Raccoons Living In you Home? 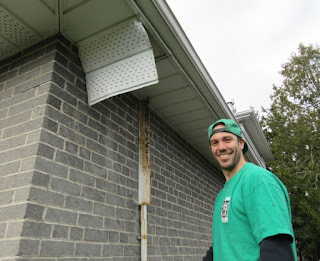 "He [Derick McChesney] states, “roughly 15-20% of homes probably have a mice issue or have once had a wildlife issue. 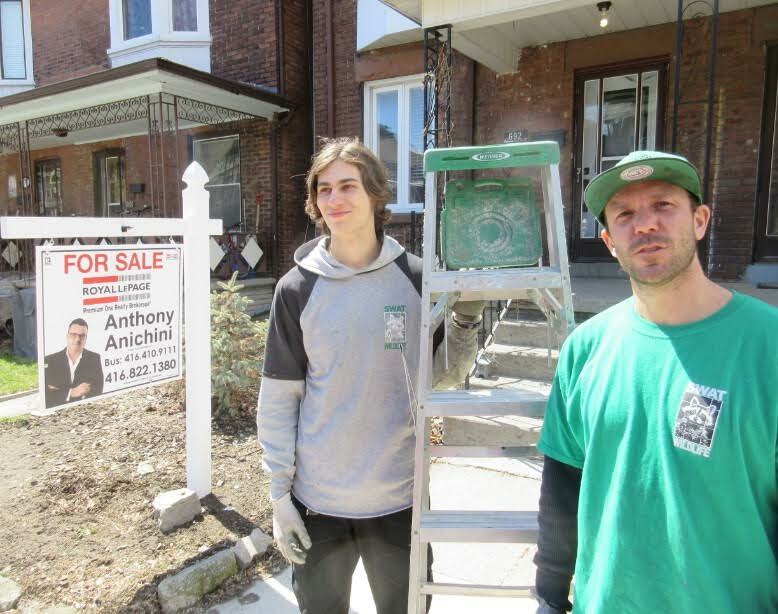 Most of the time the seller will only do the minimum amount of work to get rid of the problem and decline the necessary prevention so they can sell the house and then leave the problem with someone else." Buyers that do unwittingly purchase animal infested properties are in for nightmare renovations that can include new carpets, drywall and total home insulation removal and replacement." Which includes your attic. Sometimes also your basement, crawl space, garage, space above the garage, etc. Chicken wire is surprisingly effective at caging raccoons out of attics. 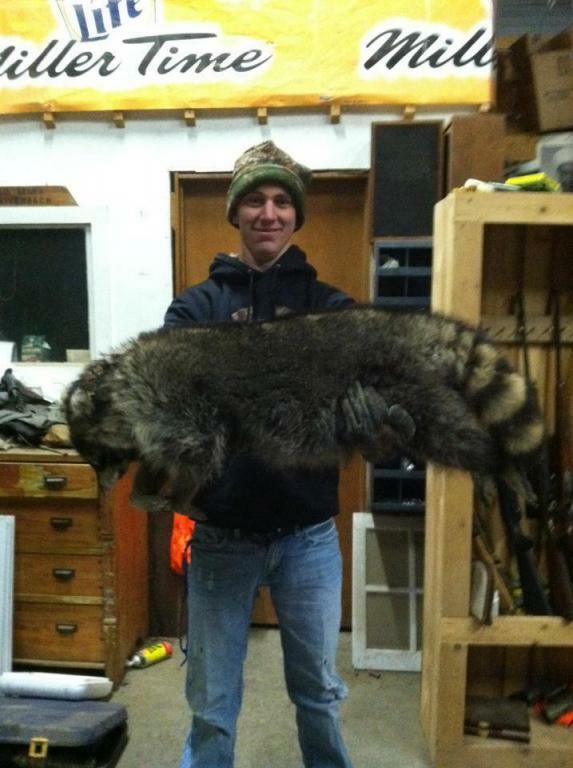 Raccoons often get into houses through the garage. 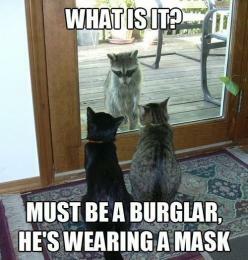 They are basically nature's best burglars. Check out Guru Security's blog post, What raccoons can teach prowlers about your home security? to learn more on this topic. However if you want to make it more difficult for raccoons to get in and out of your garage, you might want to invest in hiring some garage door installers to install an automatic garage door. 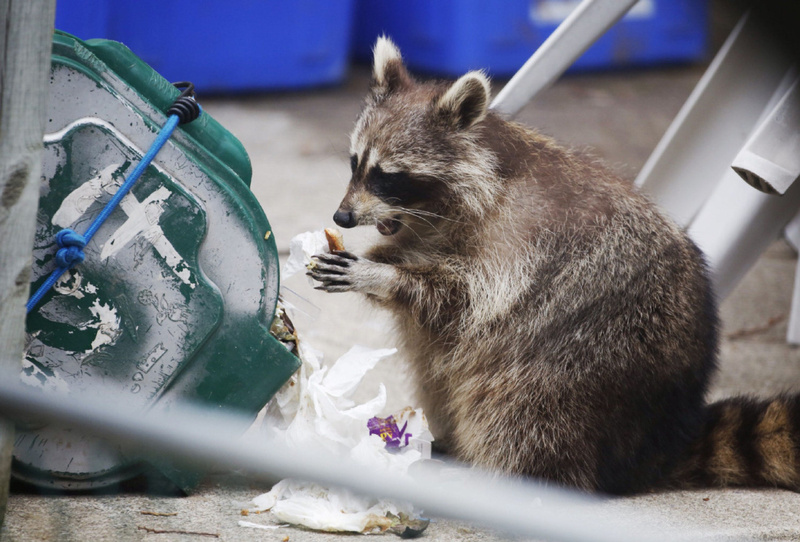 It takes only a moment for raccoons to sneak into places they are not meant to be - often in search of food - and the more often they manage to find food means they stick around in the neighbourhood and continue to be a nuisance. Having an automatic garage door that closes when not in use prevents the animals from being afforded the opportunity to do so again and again and again. I should note that Toronto raccoons don't usually get very big. They're comparatively tiny when compared to the giant raccoons you find in the countryside - some as big as German Shepherds or Chimpanzees. It really depends on how well fed they are. In the countryside they can grow to be quite large. The one in the photo below is large, but still not as big as the biggest one I have ever seen which was Chimp sized.